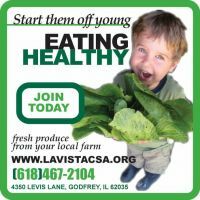 Volunteering is an integral part of being a member of a CSA farm. We rely heavily on volunteers to ensure crops are planted and maintained in a timely manner. The more help we have on a regular basis, the more bountiful your share harvest will be! From May- October, we welcome volunteers Every Tuesday, Thursday, and Friday 8am-4pm Come on out and lend a hand! We have many tasks to chose from including; harvesting, washing produce, mulching, weeding, filling trays with soil, organizing, sorting, seeding, transplanting, perennial flower bed restoration, painting, cleaning, and planting out in the fields. 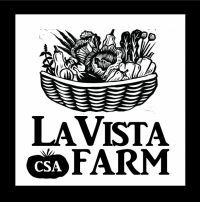 Email gardennews@lavistacsa.org to inquire about corporate or group volunteer days. Hang fliers around town. Click here to print a poster and hang it in your favorite gym, coffee house or other establishments with a bulletin board. Bring friends and family to your pick up day to try and encourage them to become a member. Shareholders are asked to volunteer three hours a month to support the "community" aspect of the garden. A wide range of activities are available and include both outside farm work and inside "behind the scenes" work. We also have scheduled volunteer work days, generally twice a month, with specific tasks or projects planned - like garlic planting in the fall! Some outdoor jobs include planting, weeding, harvesting and farm maintenance - both machinery and grounds. There is an extraordinary amount of work that goes on behind the scenes to keep the farm running smoothly. The volunteer Core Group makes major decisions regarding hiring, budgeting, membership, publicity, communications, fund-raising and Shareholder events, but many more volunteers are needed to actually do all the work involved. If field work isn't an option for a member, making phone calls, distributing flyers, working on the annual rummage sale, grant-writing, becoming a Core Group member or a vast number of other tasks are always needing to be done.